Find all of the latest TV shows, movies, and more hitting Netflix. 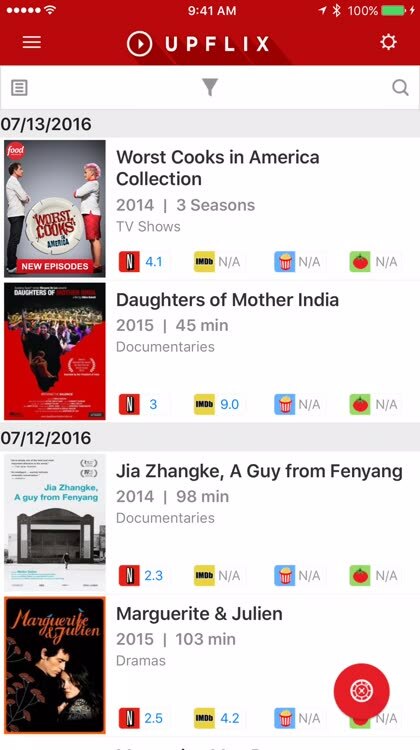 Upflix sends the new titles, series, and documentaries arriving on Netflix straight to your iPhone, iPad, or iPad. 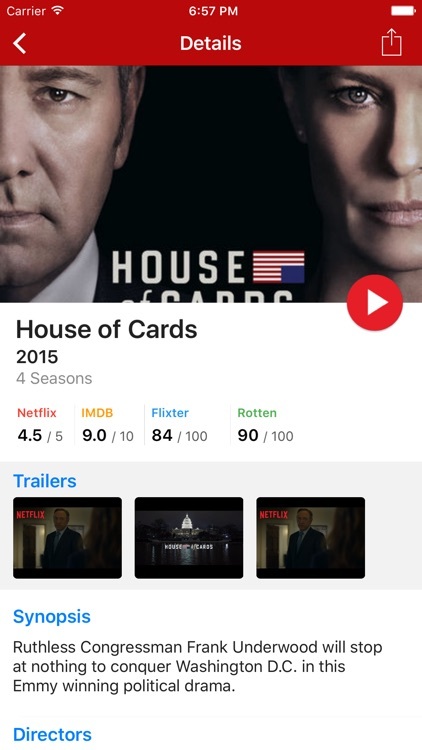 If you want to keep tabs on a particular actor or director, the app will allow you to search and find all of that artist's titles on Netflix. 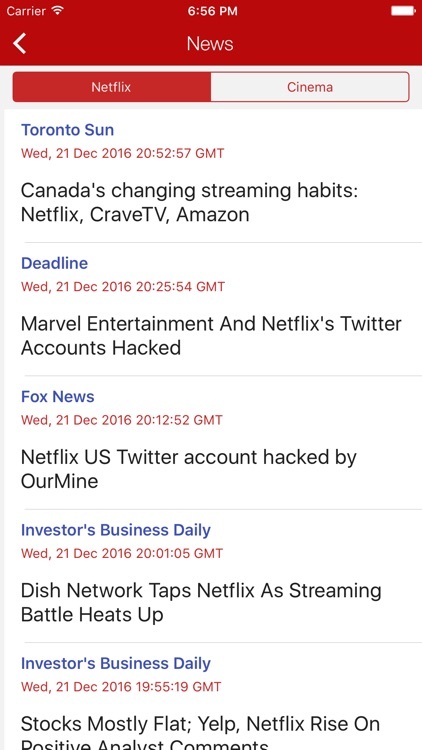 Upflix gives you push notifications of the newest titles coming soon to Netflix. You can share your favorites with your friends via Facebook, Twitter, WhatsApp, email, and even text message. The app also includes a Roulette Mode to help you choose a movie to watch when you can't decide. 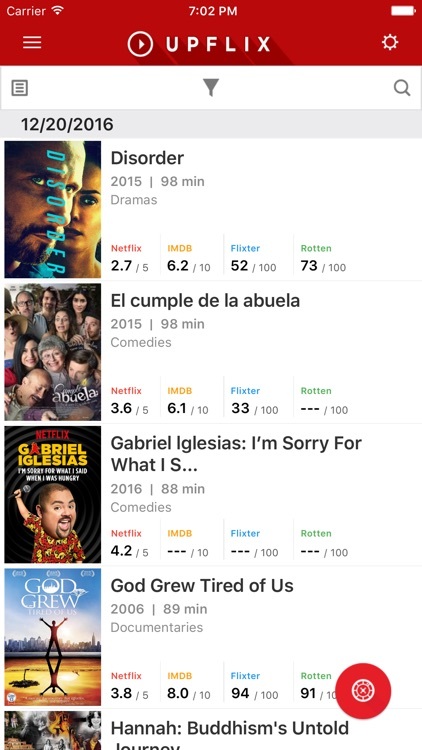 You just create filters describing your preferences, and Upflix will make a recommendation for you. 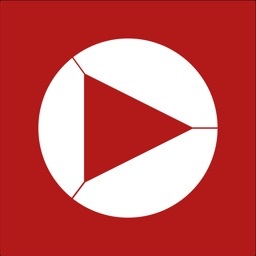 Upflix is a terrific way to find new movies, television series, and documentaries to enjoy. 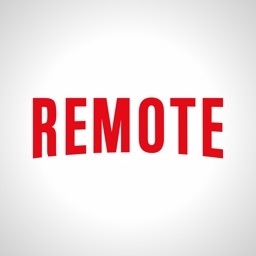 The push notifications help keep you "in the know" about what's coming to Netflix, and Roulette Mode is a great way to find something fresh and interesting to watch. 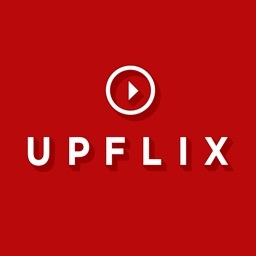 If you are a Netflix user, Upflix is perfect for you! 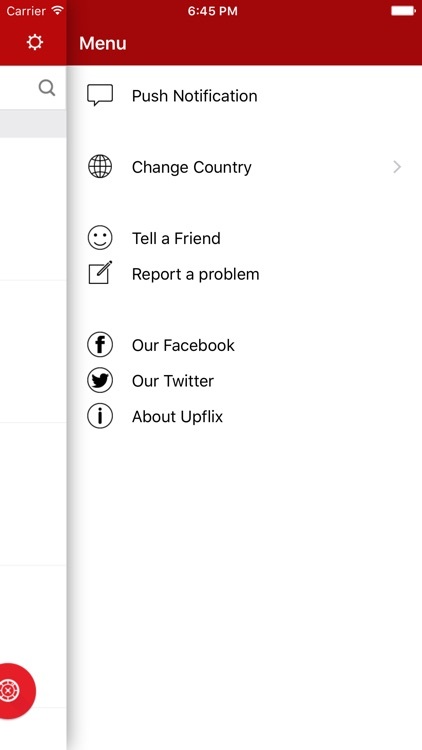 Upflix is a versatile tool to help Netflix users sending directly to your Iphone, Ipod or Ipad, in real time, all the new titles, series and documentaries arriving on the service. The Roulette Mode helps you choose a movie when you don't know what to watch. 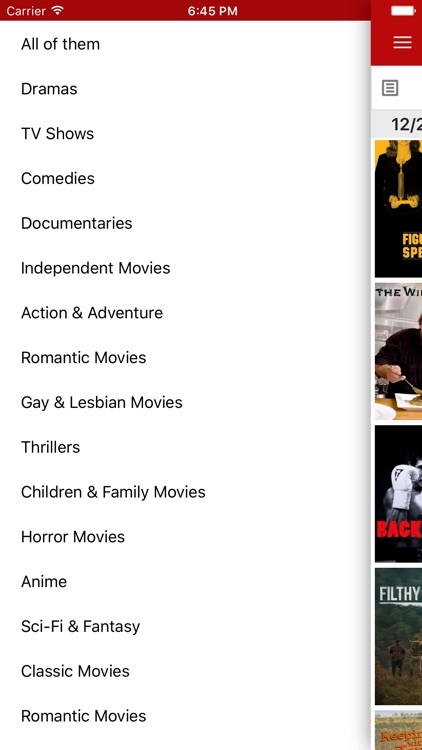 Just create your filters and Upflix will suggest something of your liking. 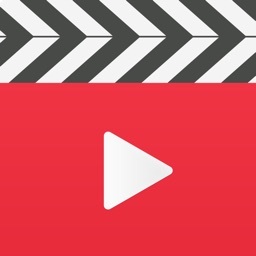 If you're a fan of a particular actor or director, Upflix offers a great way to search that will allow you to find all titles on Netflix. 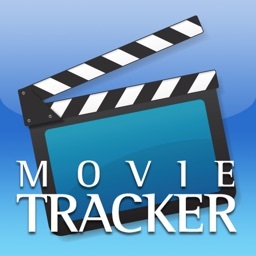 Get updates via push and share your favorite movies with your friends via Facebook, Twitter, WhatsApp, Email and SMS. 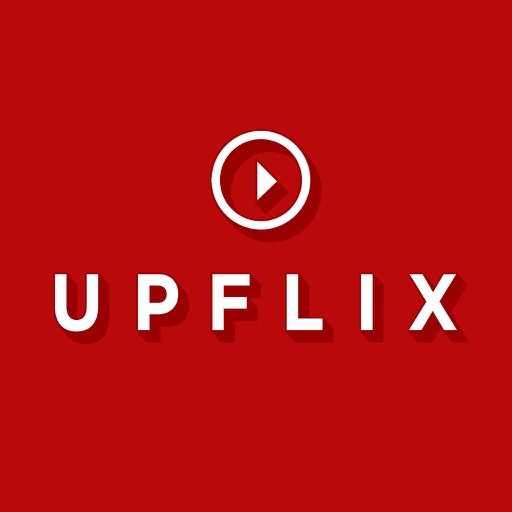 Note: The Upflix is not a Netflix Company or have any connection with Netflix whatsoever, nor power over what goes in or out of their catalog.